Terri Long Landscape Design, Inc.
It’s the middle of July, and it’s been unusually hot and humid in Asheville this summer. I hope that you’re enjoying summer blooming shrubs and flowers in your landscape. When you deadhead (cut off spent blooms), cut a few extra nice flowers to use in a floral arrangement in your house. You can also use flowers, foliage and stems from shrubs and trees. Crush the ends of woody stems with a hammer or something similar so that water can go up the stems. 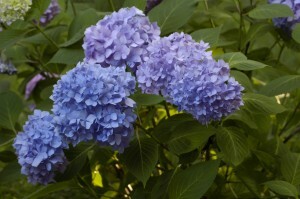 July is the month when you need to finish any pruning of your shrubs. You may want to prune off wild shoots, dead stems or suckers to improve their appearance while keeping the shape natural. The next safe time to prune shrubs is after they go dormant in the winter. If you prune after July, any new growth will not have a chance to harden off before cold weather and may suffer damage. If you prune spring flowering shrubs now, you’ll be pruning off next spring’s buds and won’t have as plentiful floral display. The time to prune them is after they finish blooming next year. If you don’t have an irrigation systems, water your plants, especially your trees, during periods of hot, dry weather. Landscapes and gardens planted less than one year are still getting established and need to be watered deeply every two to three days when we haven’t had much rain. Check the soil moisture around the plant roots and water if it’s not moist. 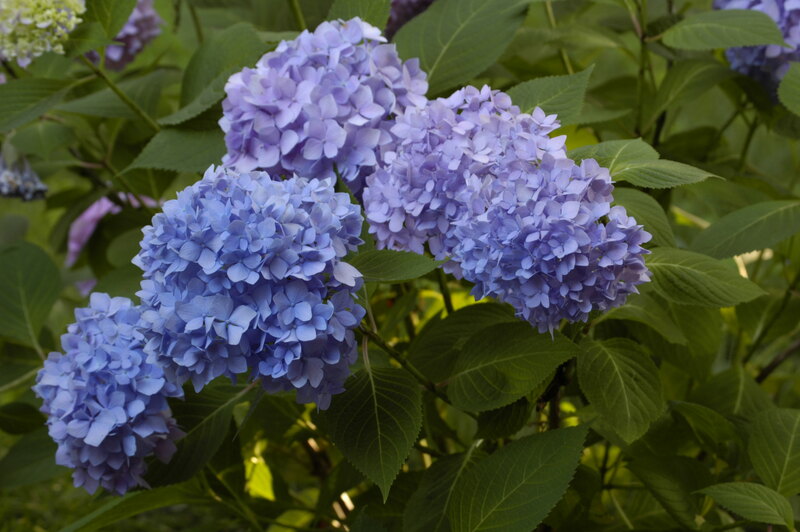 Established plants that aren’t drought tolerant may also need to be watered. Water each plant in the morning or evening. I’d love to hear from you. Please contact me with your questions or comments. This entry was posted in Landscape Care, Summer Landscapes and tagged flowers, landscapes, prune, shrubs on July 14, 2011 by Terri Long.